Undercrown Sun Grown is a new extension of the popular Undercrown line by Drew Estate that I was eager to get my hands on ASAP, being a long time fan of the original dark Mexican wrapped version (I’m ashamed to admit that I have yet to try the Connecticut Shade). This new blend, concocted by Willy Herrera and the Undercrown blending team, features a sun grown Ecuadorian Sumatra seed wrapper over a Connecticut River Valley Habano Stalk Cut and Stalk Cured binder, and Nicaraguan filler that includes “one leaf of extensively aged Ligero from the Nueva Segovia region”. Jonathan Drew has said that the company has tried to secure the wrapper tobacco for over 15 years. Prices run from $8.20 – $11.20 in boxes of 25, except for the Flying Pig, which is priced at $12.72 in 12-count boxes. I got mine from our friends at Cuenca Cigars. 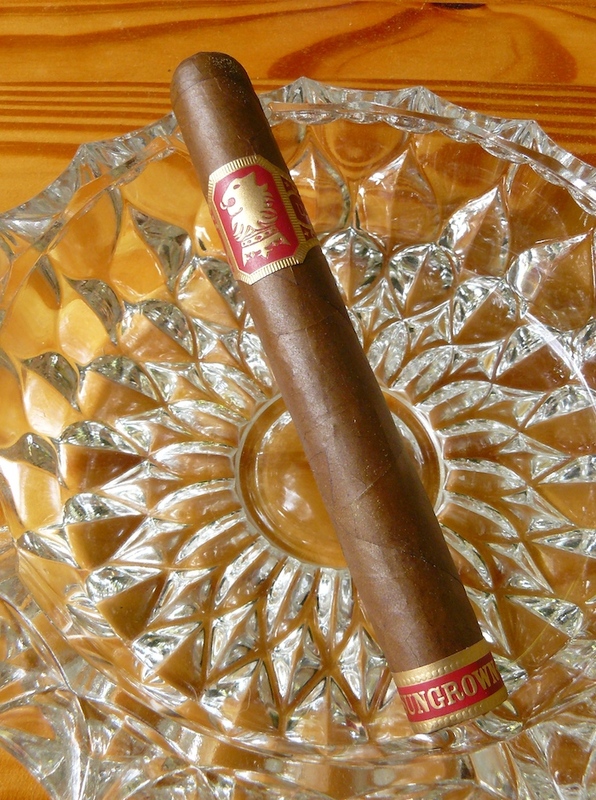 The Undercrown Sun Grown is draped in a uniform yellow tinted milk chocolate brown wrapper with a few noticeable, but relatively minor veins and a nice oily sheen. The pack is firm throughout and the tight seams lead to a deep double cap. 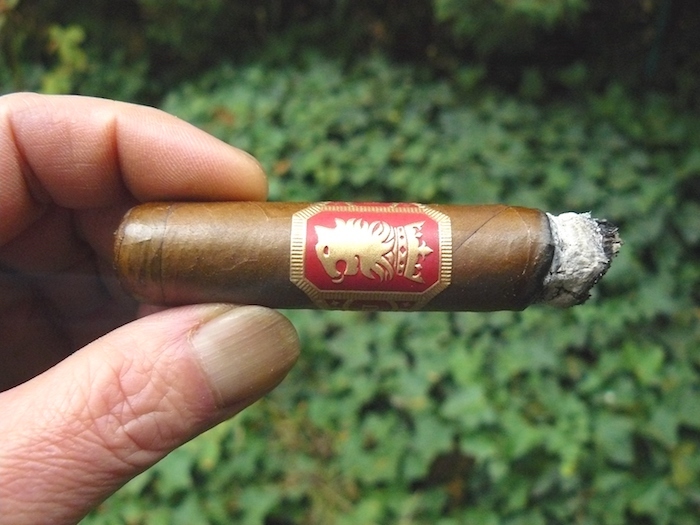 The red and gold Undercrown band matches well with the color of the wrapper. 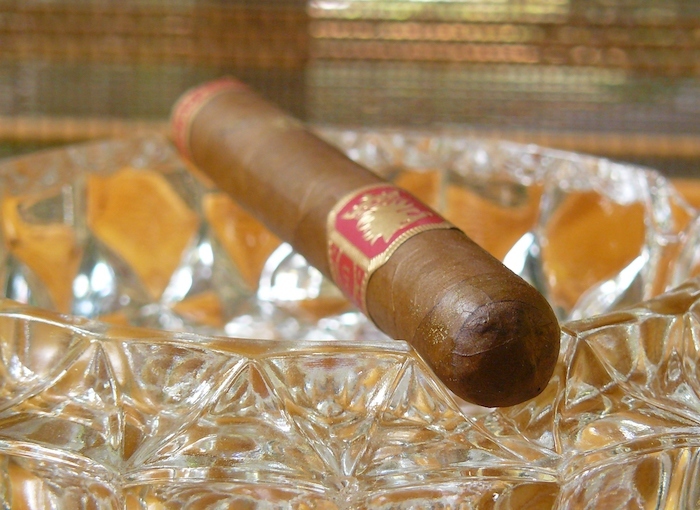 I can only pick up a faint earthiness from the shaft of the cigar, while the foot displays natural tobacco and spice. The cold draw brings up wood and light spice and leaves some saltiness and a spicy tingle on my lips. Sweet spice, cedar, and rich tobacco immediately hit the palate as the Undercrown Sun Grown gives up a hefty mouthful of smoke with a normal draw. Pepper lingers in the background, but is not a major component, even on the retrohale, and a light salty cracker note is present. The burn line is sharp and a bit wavy, and the ash holds for about ¾”. An inch in, I hit a tunnel that puts a damper on things for ⅜”, but once past that, the cigar is back on track, bringing in more pepper, musk, and a citrus brightness. The Undercrown Sun Grown ends its first third at a full-flavored, solid medium body, and low strength. The second third of the Undercrown Sun Grown brings a greater cohesiveness of the flavors – where in the first third they were more distinct, they have now melded together to form a smoother and more balanced mouthful, adding in a touch of earth. 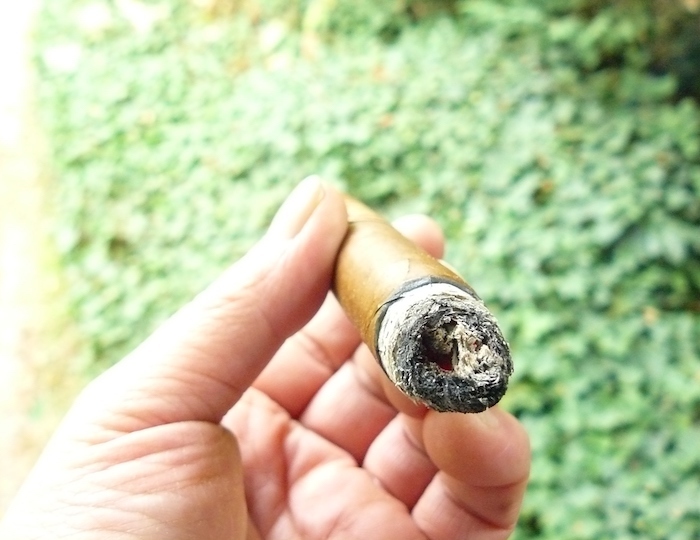 I have encountered another bout of tunneling, but this one is thankfully shorter and has much less of an effect on the cigar. The pepper spice has become more of a red pepper, and the wood has turned oaky, as the lightly sweet spice and musk remain in the mix. The Undercrown Sun Grown has been on a steady ascent into the medium-plus to medium-full range. Burning into the final third of the cigar, the sweet spice has moved up and a nice breadiness has emerged, as the pepper falls back. The Undercrown Sun Grown now has a comfortable roundness to its flavors, even as they maintain their fullness. With 1½” remaining, the pepper rebounds along with the citrus, taking the cigar down to an enjoyable and very small nub that is cool and firm, while exhibiting no harshness. The Undercrown Sun Grown finishes at a medium-plus body and strength at the very low end of medium. First of all, I have to state that the Undercrown Sun Grown that I smoked prior to this one had no burn issues whatsoever, and since I have rarely, if ever, had any construction or burn problems with any of the many Undercrowns that I have had over the years, I have to consider this one an anomaly (coincidentally, I also thought the first one had a bit more kick to it, but perhaps that’s just where my head was at). 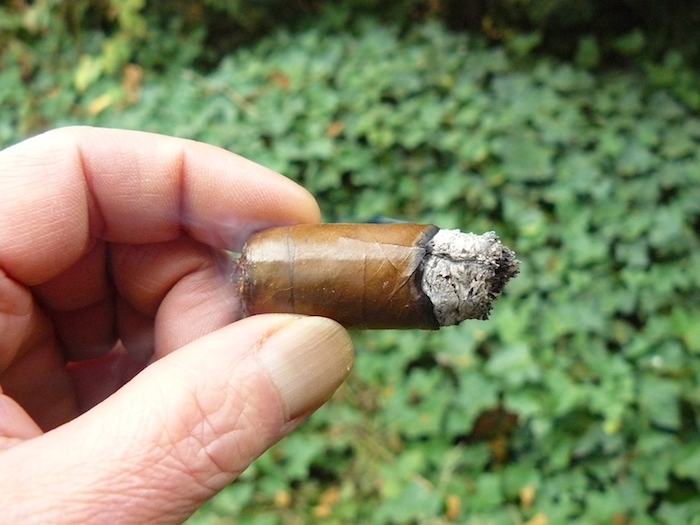 Once I burned past the short tunnel, the cigar picked right up where it left off, although it probably shortened my smoking time by a good five to ten minutes. 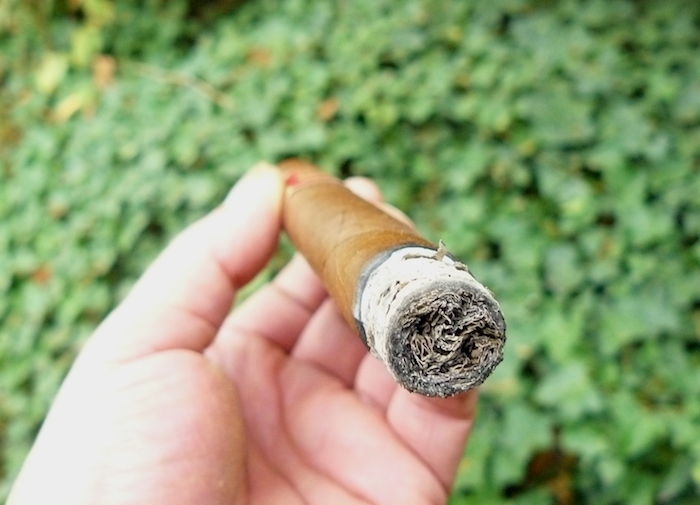 Even with the issue, I still enjoyed the heck out of the stick, as it presented great full flavors, good complexity, and otherwise solid construction and burn, and I was kind of bummed out when it came to an end, wanting the experience to last a little longer. 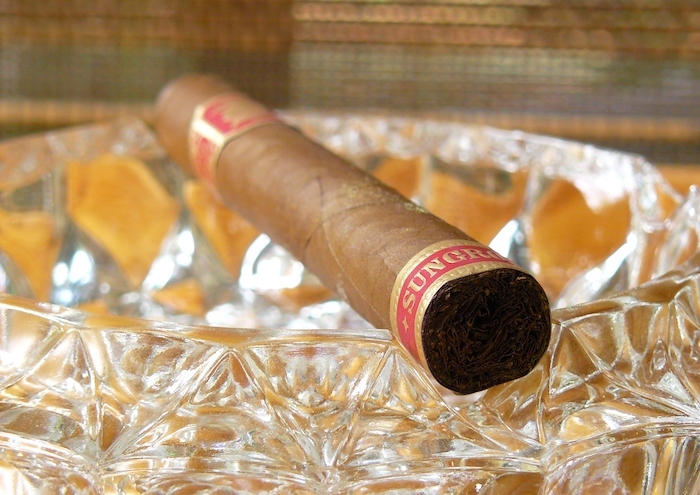 The price is, in my opinion, spot-on, if not more than fair, and I will certainly be smoking more of this cigar. I definitely recommend it. 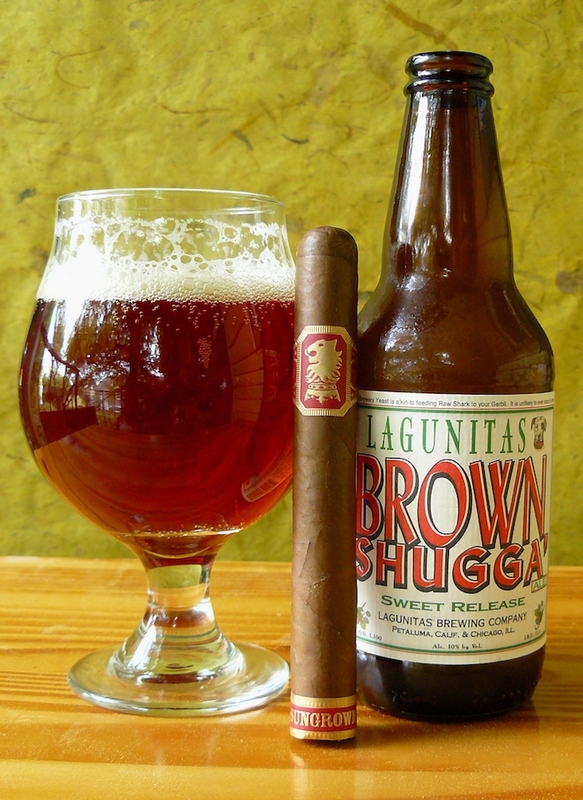 I’m a sucker for just about anything that comes from Lagunitas, and the Brown Shugga barley wine styled ale is another one that is right up my alley, especially when the weather cools down like it has here. Boasting flavors of sweet malt, citrus and dried fruits on a fairly light but round and somewhat oily mouthfeel, it proved to be a terrific partner for the Undercrown Sun Grown, enhancing the sweetness of the cigar, while playing a fine balancing act with the cigar’s other flavors. Because the Sun Grown is full flavored, but well balanced and not overpowering, it would pair well with any number of beers, such as a strong ale, brown ale, or dark Belgian. It should also go very well with a red wine, sweet bourbon, or single malt Highland Scotch.